We are so excited to meet friends new and old at the Tosa Farmers Market on July 21st. 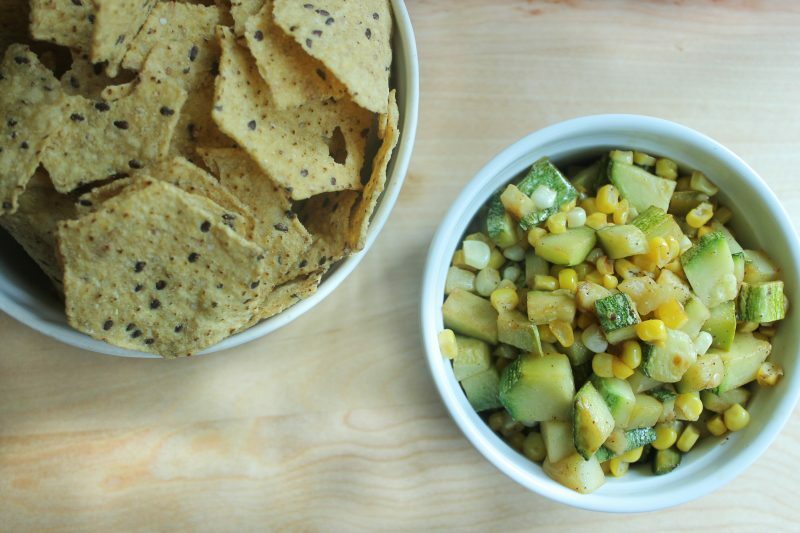 We are especially jazzed to work with Hannah at Kaleidoscope Farms to create this delicious corn and zucchini dish with y’all! Tis the season for baskets of fresh zucchini and corn. Just when you think you can’t look at another zucchini bread, I’m here to save the day! 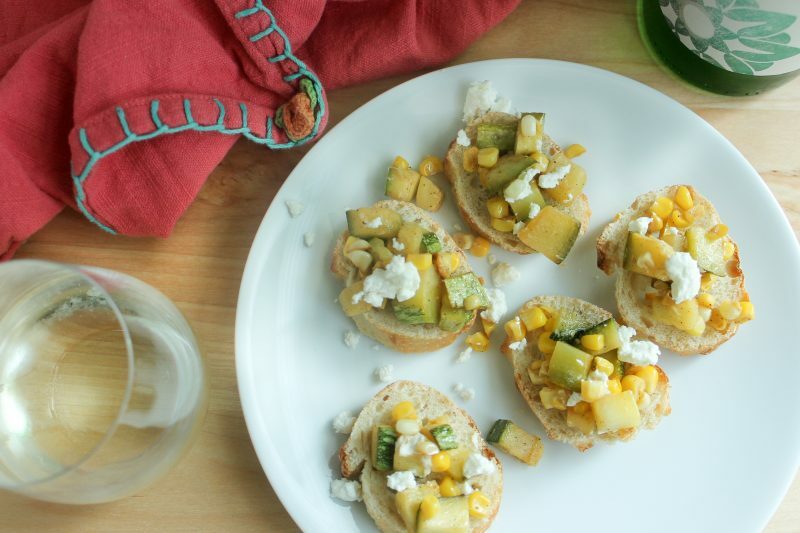 This zucchini and corn relish couldn’t possibly be easier or more versatile. In our house, we tried it as a dip with tortilla chips, on top of thin slices of baguette as bruschetta, and mixed in with boxed mac and cheese (because…kids 😉 ). Hot or cold, it goes with everything! So when you find yourself with an extra zucchini or that one lone ear of corn leftover from corn on the cob night, whip this up. It’s delicious! P.S. This dish is gluten-free and nut-free by design. Simply don’t top with the goat cheese and it’s dairy-free, too. 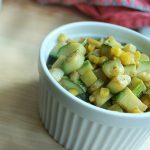 This quick relish will use the bounty of the farmers market - corn, zucchini, and herbs, herbs, herbs! Use it as a dip, to make bruschetta, a pasta topper, or a side to grilled meat. Chop the zucchini into small pieces, just bigger than a corn kernel. Heat the olive oil in a large pan over medium-high heat. Once shimmering, add the zucchini. 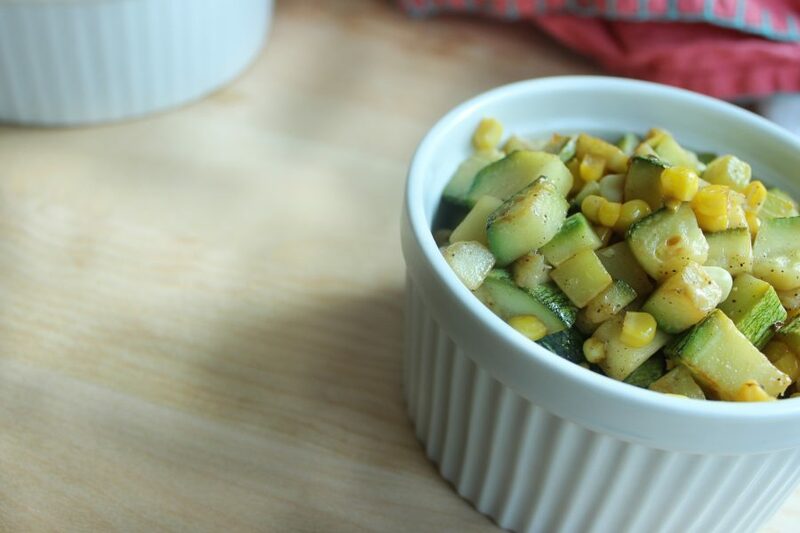 Cook the zucchini for 2-3 minutes, then add the corn. Continue sauteeing until the zucchini is browned. Remove from heat, add the lime juice and cilantro. Salt and pepper to taste. Put into a serving bowl or top your pasta, bread, or grilled meat. Sprinkle with optional cheese crumbles.